We have had a lot of rain which has made it difficult to mow lawns on a regular basis. The first thought of many might be to jump out and cut the lawn as short as you can to make it so it takes longer to mow again. That would be a mistake. It’s just a lawn-mowing myth that says the shorter you mow grass, the less often you’ll have to cut it. That misguided concept lays a foundation for a problem-prone lawn. 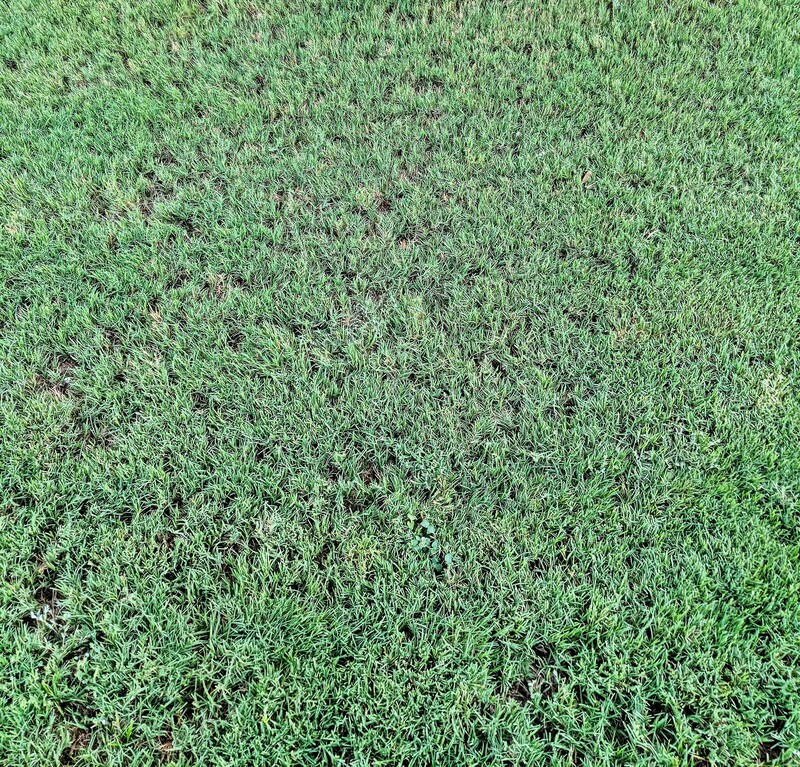 Grass that’s cut too short is more susceptible to weed invasion, drought and heat damage. In addition to that if you cut off too much at once stresses the lawn and makes it easier for weeds to come in. The general rule of thumb for mowing is to never remove more than one-third of total grass blade length at a single cutting. 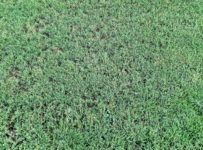 This might require additional cuttings on your part when it clears up to get to your desired height but it will help keep your grass healthier. As far as heights you generally mow St. Augustine and Bermuda to 3 inches tall, zoysia to 2 inches tall and buffalo grass to 5 inches. There might be some variation with lawns during the year. For example, I mow my Bermuda lawn in stages down to 2 inches in early spring but let it grow out to 4 inches by summer and that is where it seems to do best in the heat. In the month of October, you should also apply a winter fertilizer, which will be utilized by the lawn for winter hardiness and a fast green-up in the spring. I hope these tips will help you in maintaining a beautiful lawn. Minutes don’t get approved until the following annual meeting but as far as business the only item was the election which results were the following having the most votes: Allen Pearce-Mishler, Paul Darr, and Dez Clayburg. There were also committee reports from Paul Darr and Bryan Pearce. If you would like to help with Beautification (Decorations, ect) or Social (Community activities) please contact them. There were also comments from the community but that doesn’t get included in the minutes. My brief summary from the comments are that they mostly dealt with homeowners asking about those not paying dues and what was the developer doing about that? The answer was that they were very lenient currently. The homeowners present seemed very supportive of the board enforcing up to the limits of the law in regards to non-payment of dues and enforcement of other violations. There was an additional comment about wrong identification with a violation letter. The HOA administrator asked that any time that happens to please email her and it can be notated in the system to not happen again. Additionally Allen gave a report of the numbers and there is currently over $190,000 delinquent from home owners. 55 home owners owe between $1,000-$5,000 in dues and legal fees to the community. As board members I understand we are legally limited from pointing out the individuals or getting more specific than that but essentially this will be a big issue for us to address. I thought I would post a short update on the Little Free Library project I have been doing for our community park. I received a cabinet that was formerly in the kitchen above a microwave from Cassandra Johnson. The cabinet are composed of a combination of a solid wood front and mdf boards on the sides and top with a thin mdf panel on the back. 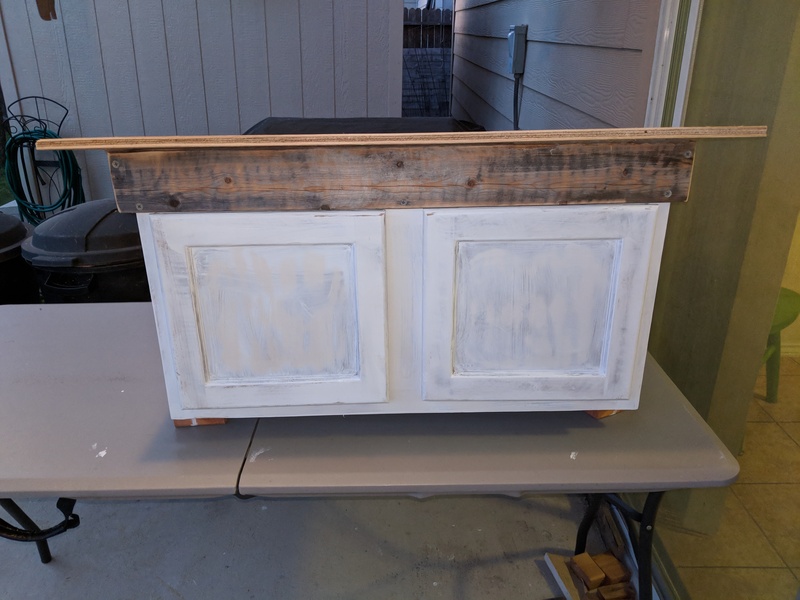 The cabinet had a rough hole in the back to accommodate the electric outlet it was formerly placed over with a round hole in the bottom thicker mdf to reach the microwave. I glued plywood over the whole back panel and flipped the cabinet placing the round hole at the top. I then glued, screwed, and sealed a plywood panel over the hole. 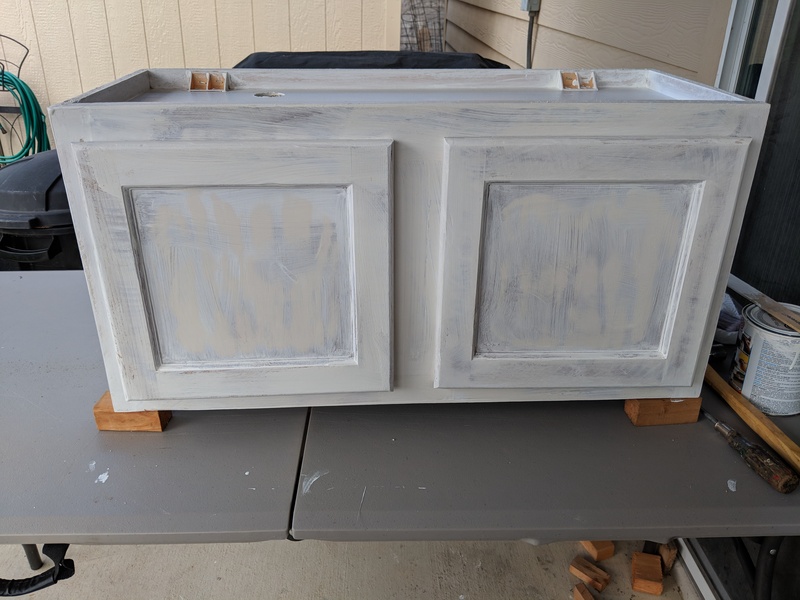 I also painted the whole cabinet with white primer that I had left over. After letting everything dry I used some wood I reclaimed from a previous project to add top panels to reinforce the top and to be able to cut an an angle for the roof. I glued, screwed, and sealed everything in here. I then used a new small piece of plywood I purchased for the roof. The panels under the roof should also help keep water from draining into the doors of the library and provide a close fit. With everything now affixed I am waiting for glue to dry. After that I plan to apply the remainder of my white primer to the project. When that dries I plan to apply a couple coats of the blue paint that will be the libraries top coats. After that I will need to place a post in the park and let it set before I will be able to mount the library and have it ready for patrons. I originally planned to have this complete in September but all the rain last month delayed me greatly. My new estimated completion date for the project will be the end of October.